The EAVI2020 consortium, launched on 2 November 2015, will unite researchers from 22 institutions and biotechnology companies in Europe, Australia, Canada and the USA to work together on HIV research. The aim is to develop new experimental vaccines that will be trialled on humans within just five years. Prof. Dr. Klaus Überla, director of the Institute of Clinical and Molecular Virology at FAU, is one of the German researchers involved in the cutting-edge research group. EAVI2020 is being financed by the EU as part of its Horizon 2020 research and innovation programme. According to the World Health Organisation (WHO), around 35 million people worldwide were infected with HIV at the end of 2013 and there are over two million new infections every year. 3000 new HIV infections are registered in Germany every year and the number of people living with HIV is increasing. It is estimated that around 22 billion US dollars per year are invested in treatment and care for HIV patients. An effective vaccine is the only solution to stop the spread of the infection from increasing. Intensive research into such a vaccine has been in progress for 30 years, but it is only recently that developments have been made that have sparked hope that success may be around the corner. Researchers have isolated antibodies that successfully prevented HIV infection in preclinical trials and, for the first time, are effective against most varieties of HIV. Furthermore, new design possibilities are opening up thanks to the implementation of structural biology. 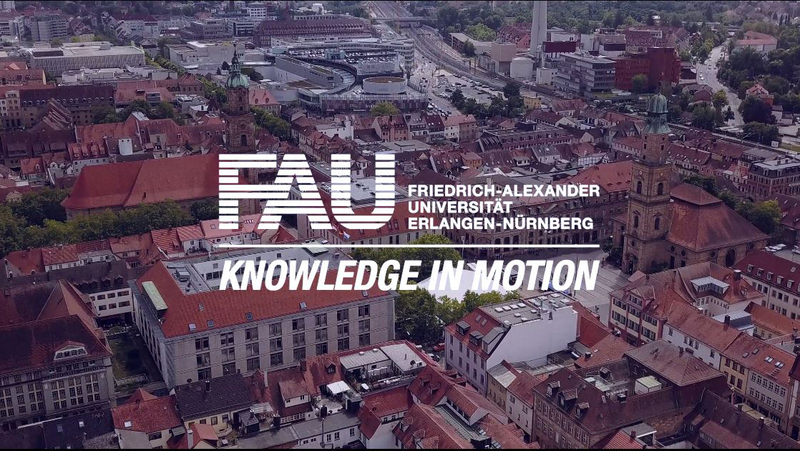 At FAU, researchers at the Institute of Clinical and Molecular Virology at Universitätsklinikum Erlangen are working on a new HIV vaccination strategy that makes use of the immune response to a hepatitis B vaccine that has already been approved. The vaccinated patient’s body produces T helper cells that recognise the invader, usually on the basis of a particular protein in the virus. If this recognition pattern were built into a HIV vaccine, the response to HIV should also be improved. The co-ordinator of EAVI2020, Professor Robin Shattock from the Department of Medicine at Imperial College London, is also confident that this collaborative initiative will succeed. ‘The new project should enable us to move much more quickly. It brings together a multidisciplinary team of molecular biologists, immunologists, virologists, biotechnologists and clinicians, providing the breadth of expertise needed to take the latest discoveries in the lab and rapidly advance them through preclinical testing and manufacture, into early human trials,’ he says.